Just as expected from the press invites the company sent out yesterday, Sony has launched the flagship Sony Xperia Z2 in India. Sony has announced the launch of the Sony Xperia Z2 in India. The device flaunts a 5.2-inch Full HD Triluminos display with the Live Color LED technology which is powered by the X-Reality engine. The smartphone is powered by the quad core Snapdragon 801 processor clocked at 2.3 GHz along with the Adreno 330 GPU, 3 GB of RAM and 16 GB of internal storage. The Sony Xperia Z2 has a 20.7 MP rear facing camera with 1/2.3-type Exmor RS for mobile CMOS image sensor and 1.1 micron pixels. While the camera is the exact same as of the Xperia Z1, there are software advancements with the ability to record videos in 4K resolution and also 120fps videos. There is also a front facing 2.2 MP camera. 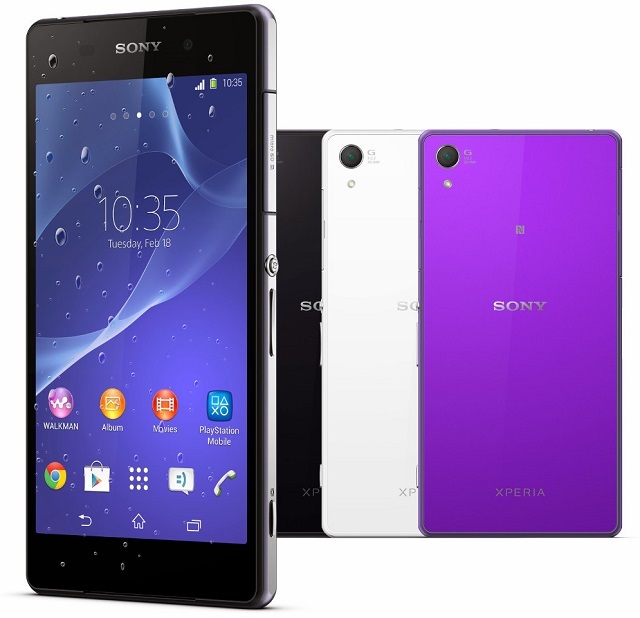 The Sony Xperia Z2 is priced at Rs. 49990 and is available in Black, White and Purple colour options. The handset is bundled with a protective cover worth Rs. 2990 and Smartband worth Rs. 5990 for free. There is also Accidental Damage Protection for 6 months. The device will be available in stores starting from May 12.